I am cheating a bit on this post, and writing it the night before I intend to post it. The plan is for us to go running around in Fayetteville tomorrow, and as such I really need not to take my normal leisurely “not having to rush to work” amount to time to write a post in the morning. Today was an insanely busy day. Right now I am taking a few days off work because it is Fall Break here in Oklahoma, and since my wife is a teacher she is out. One of the problems with living with a teacher is that you pretty much have to plan your time off around school breaks. For awhile we had planned on doing a little project, originally the intent was to rip up all of the carpet in the bedroom and paint the floor. As time got closer to fall break we backed away from that notion, mostly because it would quite literally take all four days of this little break… and since my wife has had an insane semester so far… she really needs to take an actual break, and not a working one. Instead we opted to do a bunch of little things around the house today. Our house for starters was in massive need of a deep cleaning. Additionally we needed to gather up and take another load to Goodwill. The front closet was our key mission, and for quite some time it had been packed with coats and shoes we weren’t actually wearing any longer. Instead we took what was useless space and turned it into something useable. 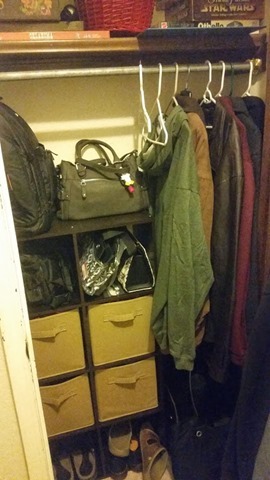 Previously the closet was full with a bunch of coats that were too big for us since the weight loss. The floor was full of shoes that we longer wore, and the top was full of a bunch of board games that we had not touched since college. We kept the few things we were actually going to use from all of those categories and the end result left us a bunch of open space. We moved an 8×2 cube unit into the empty space, allowing us to store our SLR equipment on top of it, and use the other bins for scarves and such, and the lower two bins for storage of our current shoes. This left a spot on the right side that was perfect for our laptop cases, and just enough room to hang the handful of coats we decided to keep. One of the nice things is once we end up organizing something… it tends to stay organized so here is hoping that is the case with this as well. When I finally crashed on the sofa after working on the house all day long, I logged into Final Fantasy XIV and ran my daily elite roulette with my good friend Cylladora. It went pretty smoothly and when it was finished we both logged out of FFXIV for a bit. 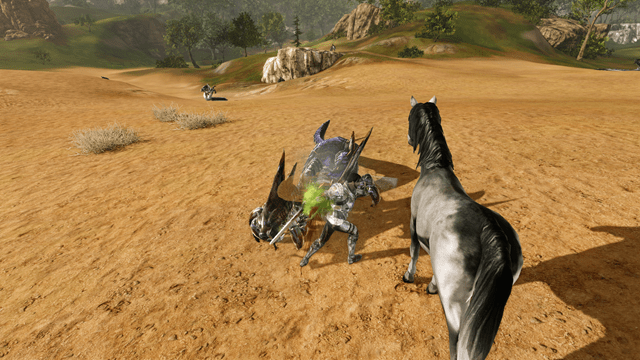 I opted to poke my head into ArcheAge for a bit since right now it is pretty much a solo affair for me. A few days ago I applied for Greymoon the guild that everyone I know is playing the game is in… and was accepted, but I have zero clue how to actually go about getting an invite. None of the folks I know have been around since I got accepted, so I figure I will just wait until one of them is on to ask them. The guild requires folks to log into teamspeak, which seems a little odd to me. Granted I spend most of my time connected to TS, but it feels strange to require that folks just log in out of course rather than for them doing so with a purpose. I am still slowly working my way through the content, and I am closing in on 22. I managed to get a pretty sweet katana to drop earlier which was a massive improvement over the blue sword I had been using for awhile. I took a handful of deaths because I really was not paying nearly as close of attention as I probably should have been. Lately I have been hanging out on the sofa and watching television while playing games, but tonight I opted for a movie. I had yet to see the Amazing Spiderman 2, so I decided to watch it. All in all I think it was a pretty good comic book movie. I’ve never been a massive fan of Spiderman, but I think all kids who read comic books at least know a bit of the storyline and a few of the major villains. It seemed like they did a good enough job at representing both the Green Goblin and Electro. It was good enough to pull my attention from the game a handful of times leading to deaths. A few days ago I watched the awesome Missy Mojo playing an interesting game on her stream. The game reminded me of a mishmash of a bunch of the late 8 bit Nintendo games as sort of a combination of McKids and Super Mario Brothers 3. 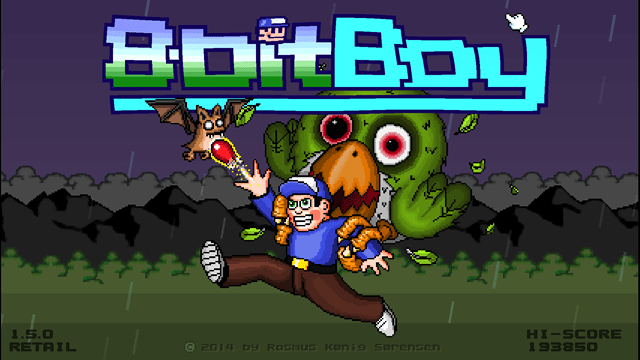 8-Bit Boy pays homage to so many different games and is an absolute steal at only $3.99. I have been playing it off and on, and while I don’t find it in the same league as the various frustration games like Super Meatboy, I find it plenty challenging. I’ve reached a point where the game has started to feel a bit like the special levels in Super Mario World. It isn’t the type of game I can play a lot of in one sitting, but I keep returning to it and whittling away at progress. There is a certain generic character to the game, that would normally turn me off. The main character is just about as bland as you can get and at the same time looks somewhat like Mario, the character from Adventure Island, and even a little bit Alex Kidd. I think I would have rather the game actually built a strong character for you to play than something that ends up being his amalgam that never is as strong as any of them. 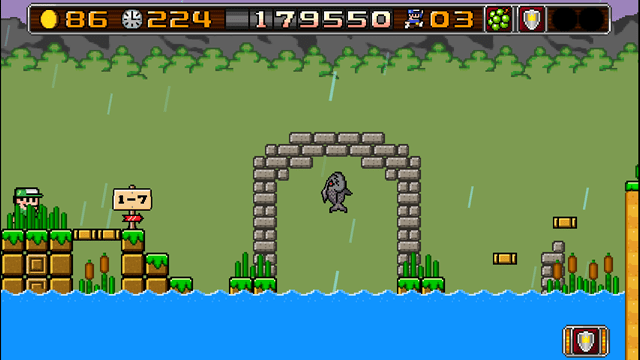 The level design kinda feels super generic as well, borrowing elements from a ton of different games. So all of these things would normally turn me off, but I have to say the game play makes up for it in spades. It controls like pretty much the best version of all of the games it is trying to replicate. If you are into that sort of thing, you should totally check it out.